'Female construction workers (Names withheld)', Mysore, India, February 2017. These young women were working at a construction site down the road from my guest house. 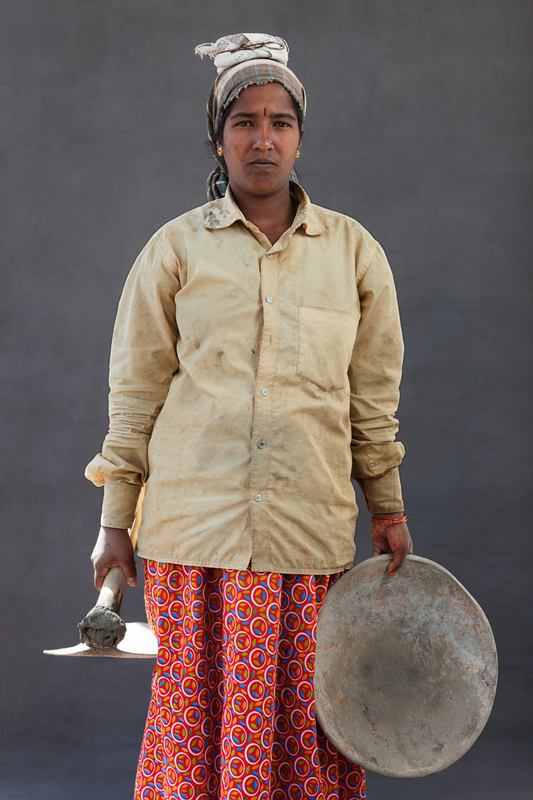 They work grueling 12-hour shifts alongside their husbands and even cook food during the short mid-day lunch break. Manual labor truly lives up to its definition in India as there is very little automation used in building construction. Mixed concrete and stones are carried (sometimes up handmade bamboo ladders) in the flat container pictured here the subject's heads. It's back breaking work at least six days a week in often sweltering heat. Daily pay is around 400 rupees which is around $6.